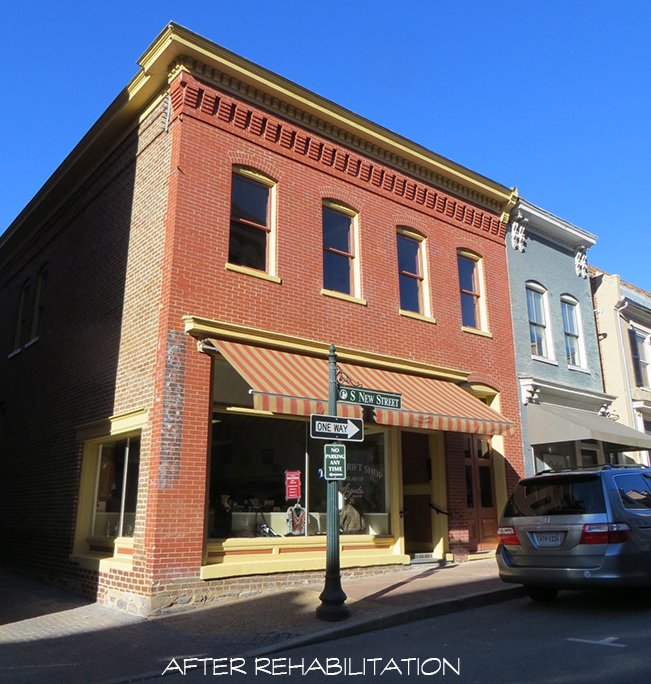 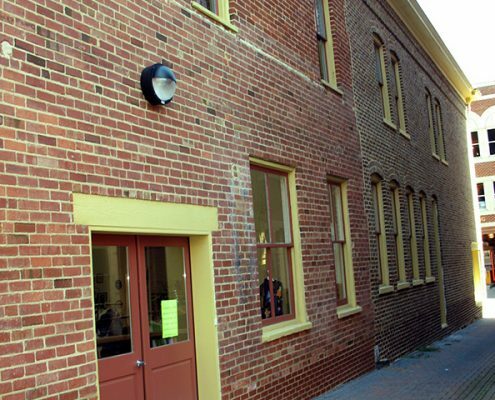 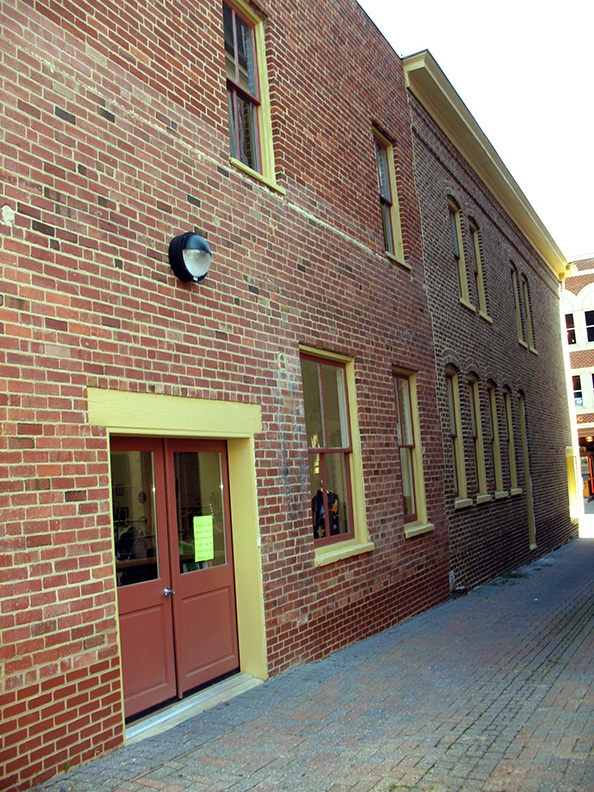 This late 1800s building in downtown Staunton received a complete exterior rehabilitation and improvements for handicapped accessibility. Frazier Associates initially conducted a building assessment and feasibility study for the long-time owners, Augusta Health corporation, who wanted to update the building for the existing hospital Thrift Shop on the first floor and to explore potential future use of the upper floors. 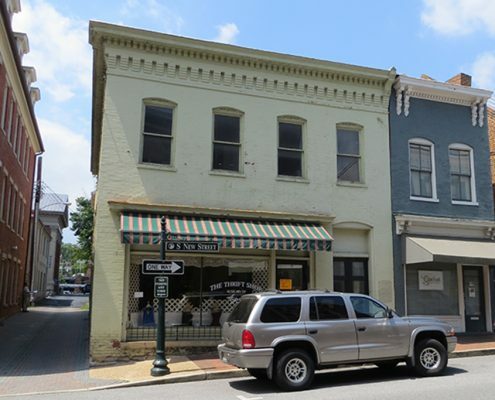 The initial study included research on the history of the building, an overall condition assessment and structural evaluation, measured floor plans, a code analysis, and illustrated drawings of options for improvements and new use. 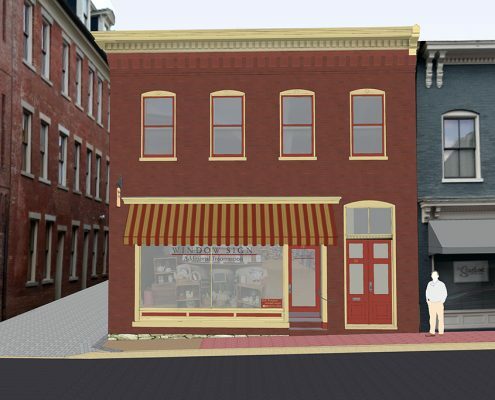 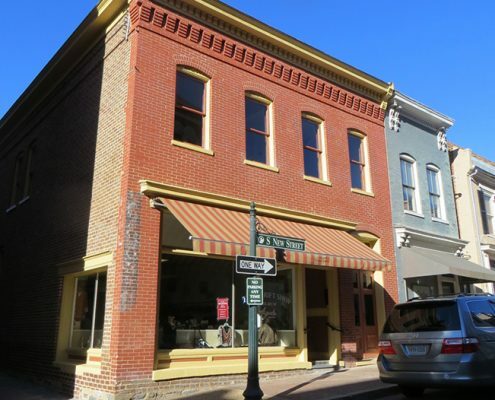 Also provided were façade renderings and recommendations by Frazier Associates through the Virginia Main Street program to update and improve overall appearance. Improvements to the building included interior structural repairs and a new membrane roof to stabilize the building. 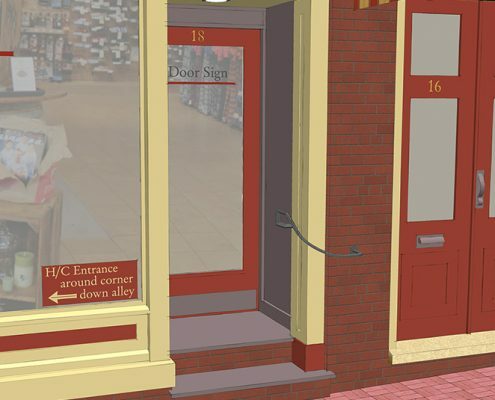 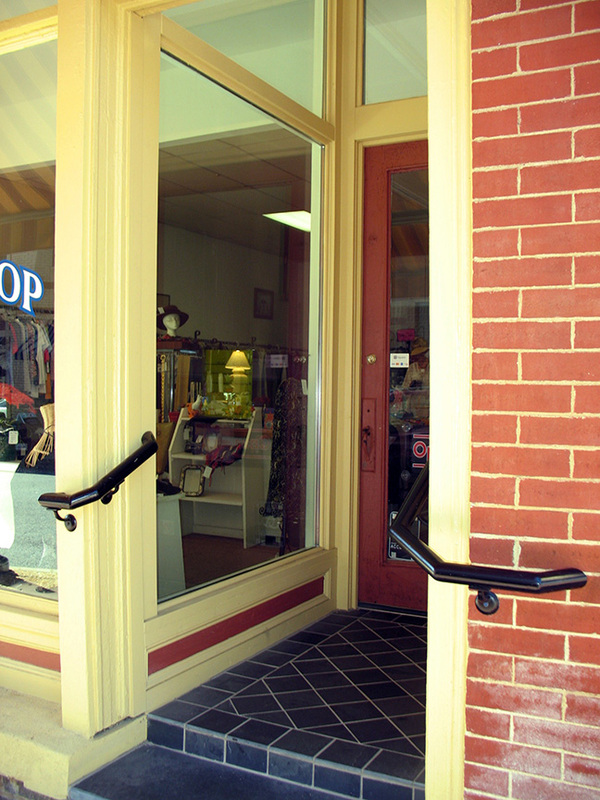 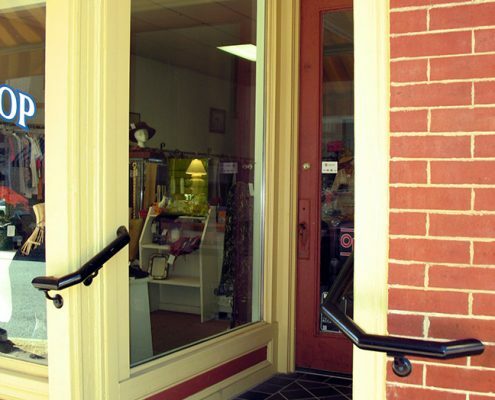 A new front entry vestibule to the retail space was designed to alleviate an awkward step height into the store; and a new rear handicap ramp entrance was installed with access from a Barristers Row doorway. 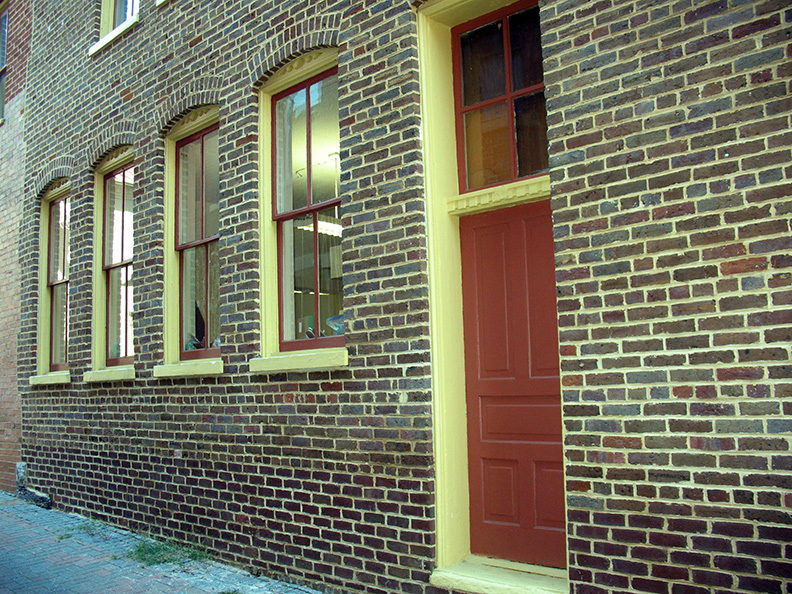 Boarded up windows, doors and transoms were reopened, and all wood windows, doors and trim were repaired and repainted. 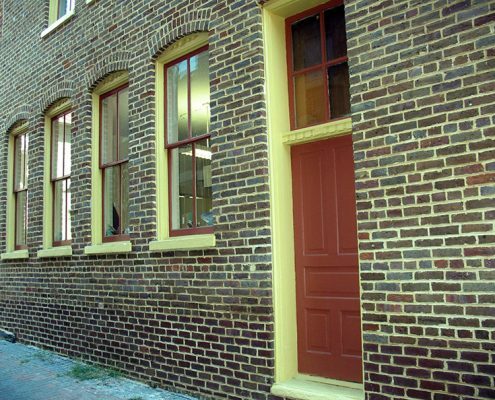 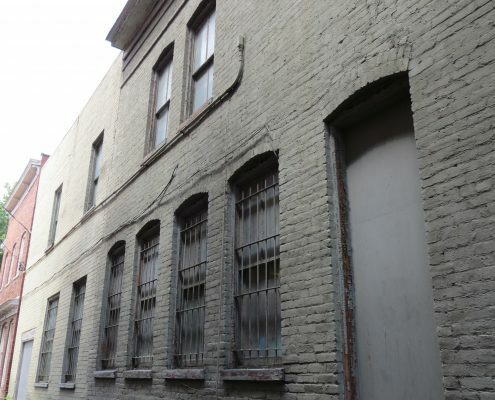 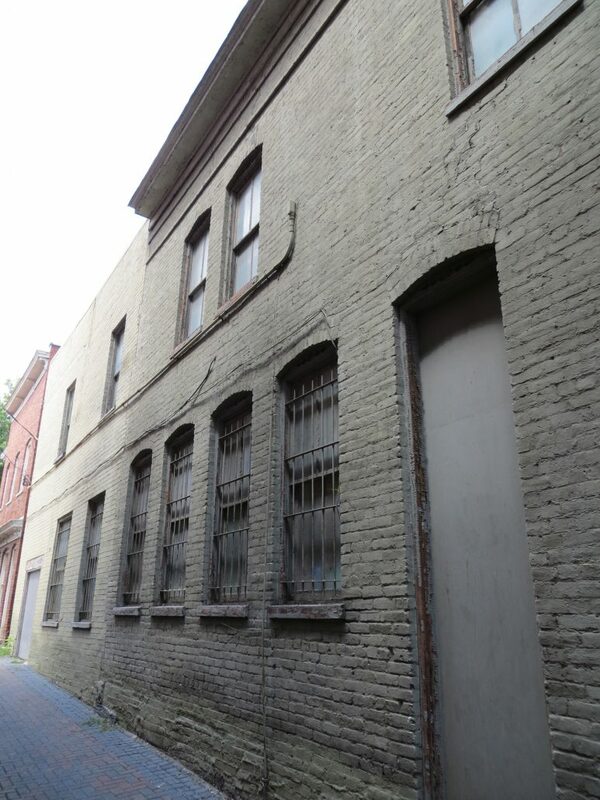 Paint was carefully removed from the east and south elevations to expose the natural brick; and extensive repairs were made to the masonry at grade level where much of the brick was corroded due to salt. 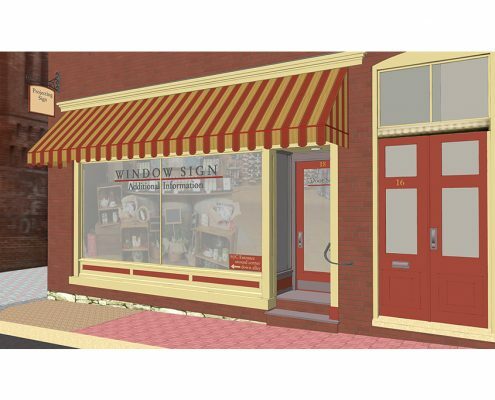 A new awning, exterior lighting, and a new gate at the alley entry were added to complete the project. 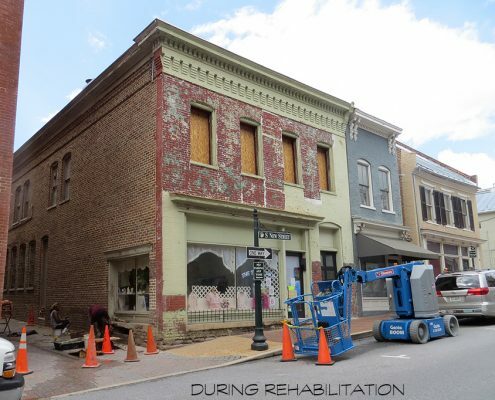 The result was a dramatic, full-scale exterior commercial rehabilitation that followed the local and national design guidelines. 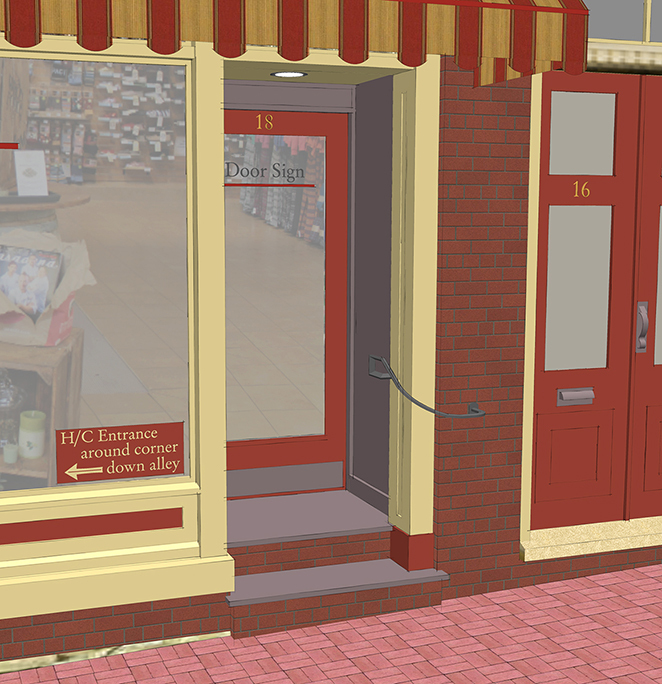 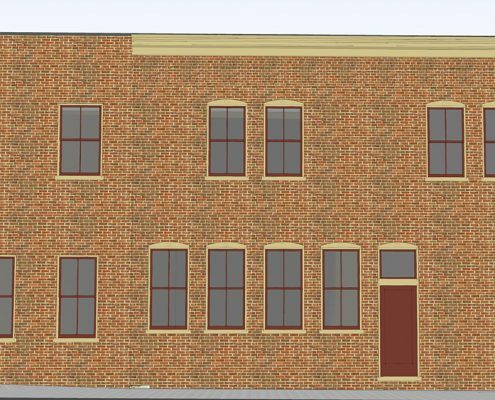 Facade rendering of propsed improvements to Augusta Health Thrift Shop.